12/12 6-9pm Seasonal Spendor Necklace - Bloomin Beads, Etc. 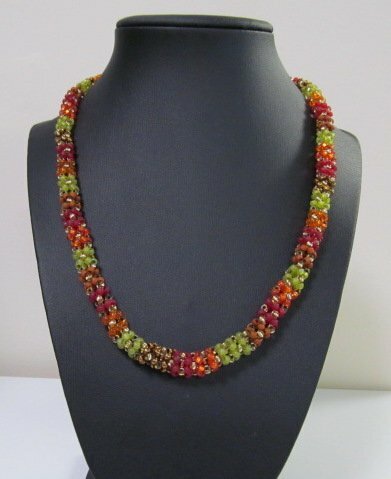 This lovely chenille necklace is created with combinations of colors and finishes for a dramatic look! The chenille stitch gives a full, and soft look to the piece, as well as a luxurious drape around the neck. If you have never used this technique, come learn! If you already know, come make this fun piece with us in class!